Personal statement from Buzz Aldrin's longtime assistant, Christina Korp. This is the WSJ story she references. Ciekawa historia. 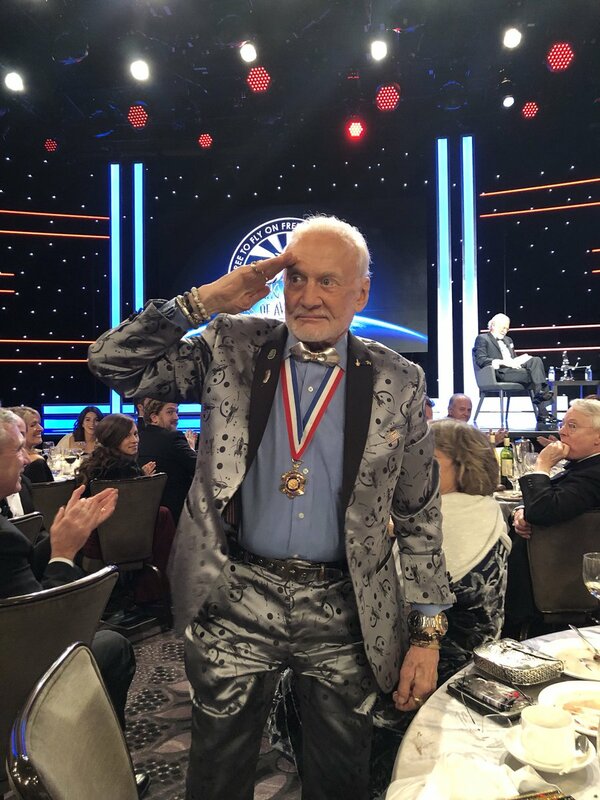 Buzz Aldrin ma prawdopodobnie bardzo burzliwe życie prywatne. 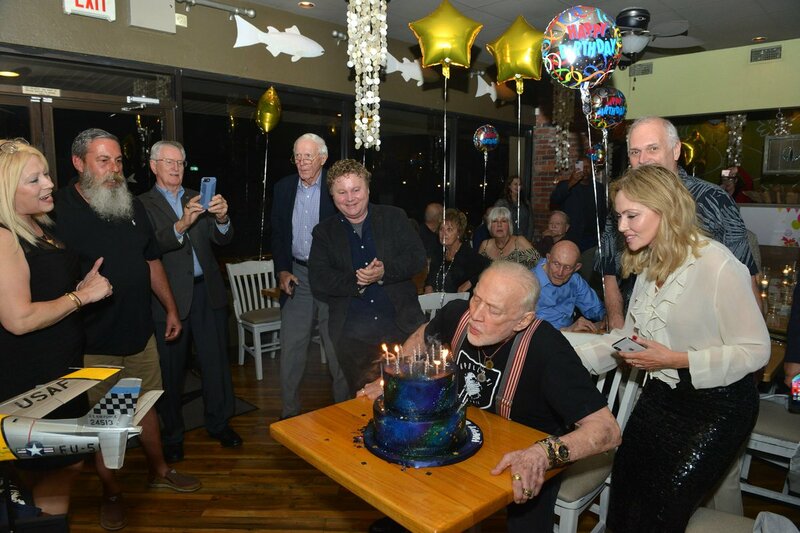 (...) Aldrin, 88, of Satellite Beach, told FLORIDA TODAY in a statement that he stayed away due to a legal fight within his family and disagreements over the direction of Buzz Aldrin’s ShareSpace Foundation. Tego o Buzzie nie wiedziałem. Właśnie świętował 40 lat trzeźwości (kumam, że w formie w ogóle nie tykania alkoholu). O tym, że Buzz miał "pewne problemy" w latach 70. to było dość powszechnie wiadomo. Nie wiedziałem jednak, że od tego czasu Buzz w ogóle odstawił kieliszek. A big salute to the Living Legends of Aviation. You put on one helluva gala. As one of the 12 men who walked on the Moon, Buzz Aldrin has a lot of stories to tell. In his latest book, "No Dream Is Too High," out April 5, Aldrin packages these anecdotes into 13 life lessons. It's an inspirational read that's packed with little-known facts about the Space Race — including how President Kennedy originally wanted to go to Mars, what Aldrin declared on his customs form after returning from the Moon, and why he wore a particular bracelet to the Moon and back. Here are the main tenets of the 13 lessons Aldrin teaches us in this new book. "Maintain your spirit of adventure." "Practice respect for all people." Routine is important. Make a plan, and follow it. This is part of my morning ritual.